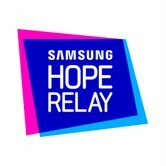 As part of the Samsung Hope Relay Samsung are running their Warm and Win Competition, and it is now live! All the video clips are going to be made into a Samsung’s Hope Relay Video. Good luck and let me know below if you’ve made a video. This entry was posted in General and tagged olympics, samsung. Bookmark the permalink.